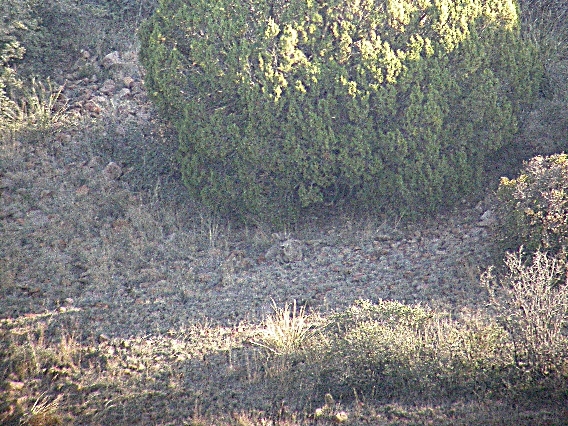 Bedded spike Coues buck Feb. 2003. 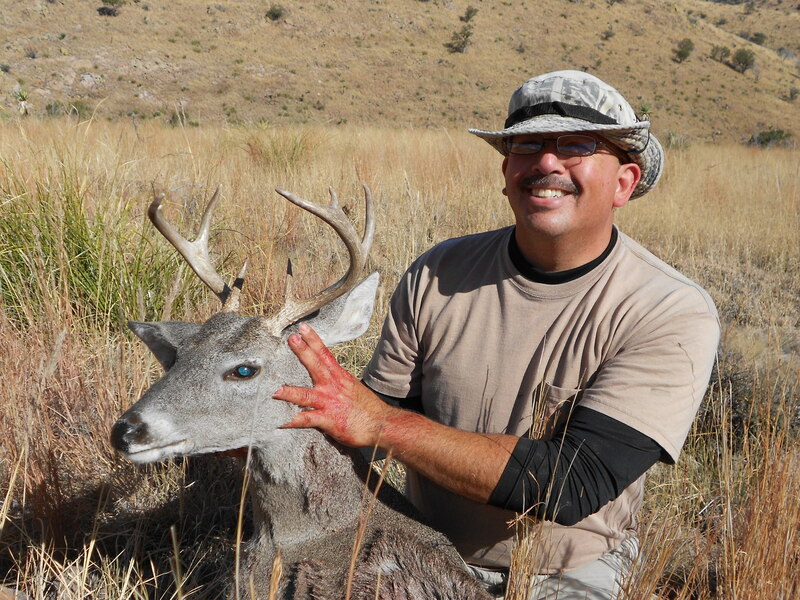 Classic flagging Coues deer buck. 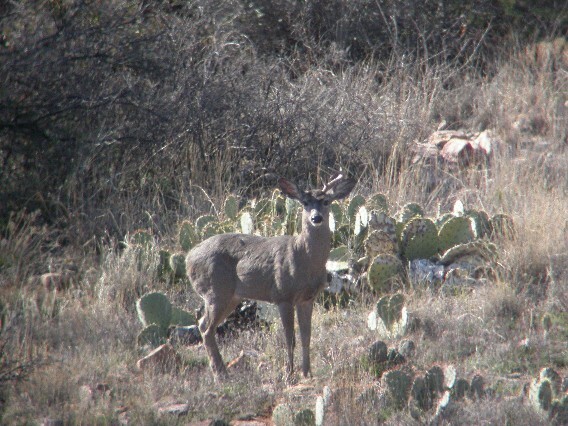 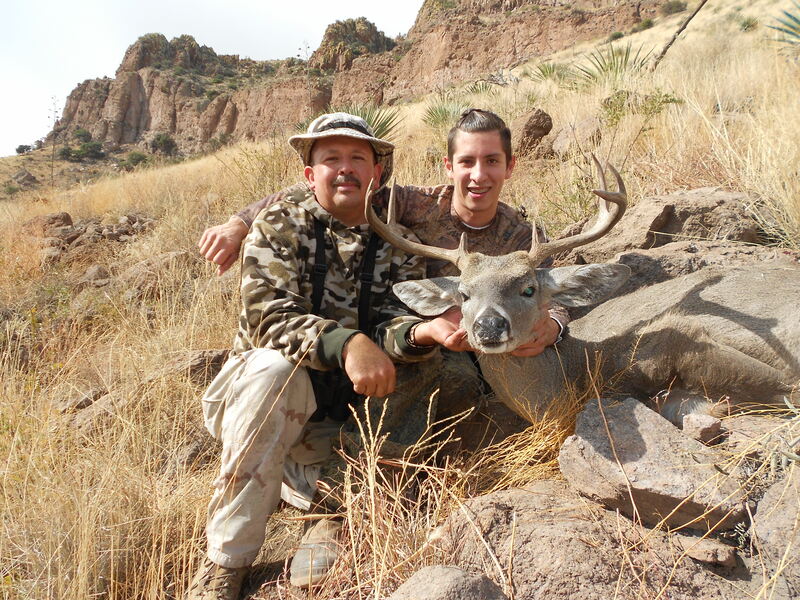 This Coues buck only has one horn. 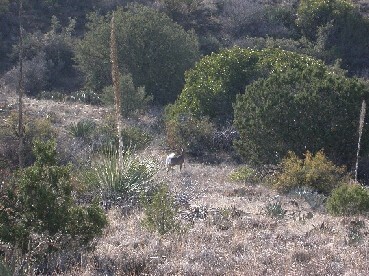 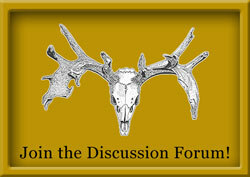 I think he actually grew that way because a friend of mine says he saw this buck in Dec. with only one horn. 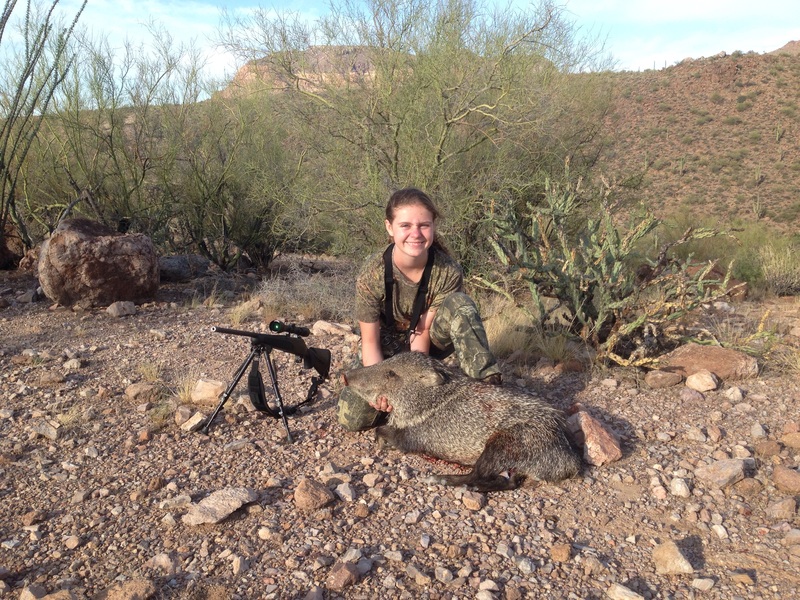 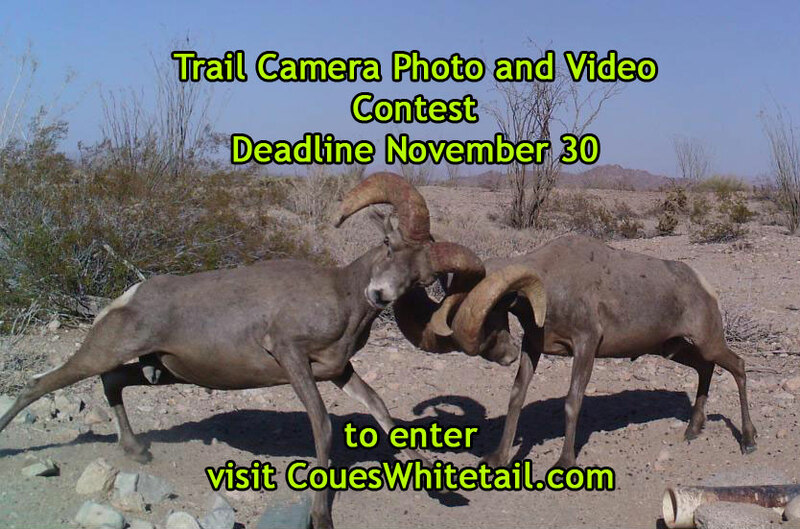 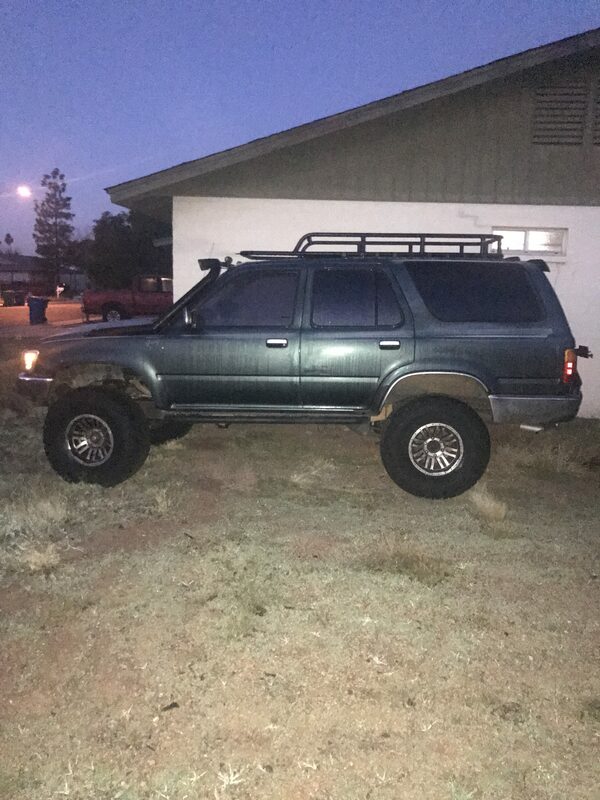 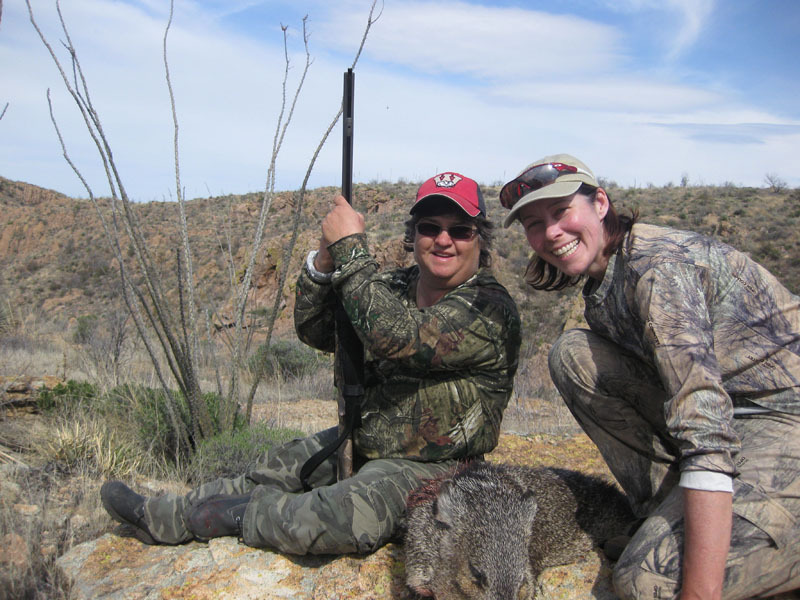 This photo was taken Feb. 19, 2003 during my javelina hunt in Unit 24A, AZ. 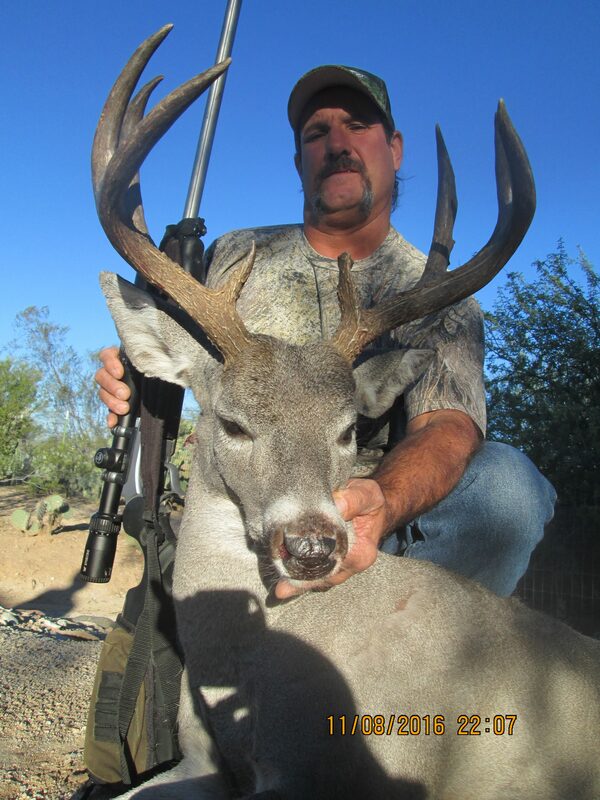 He was with two other bucks.